Photo: Melisse Gelula/Courtesy of Well + Good. 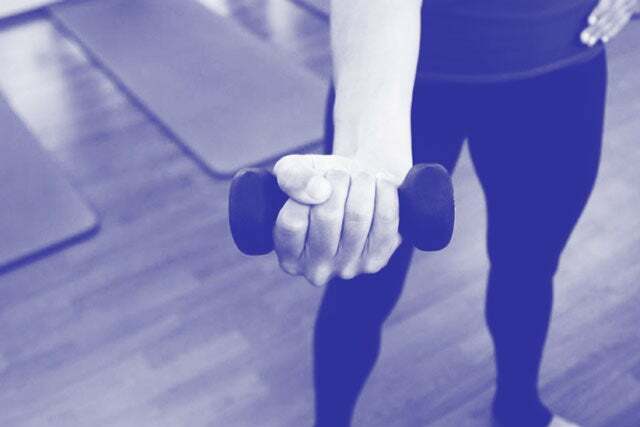 If, during your workout, you’re gripping your hand weights like the car steering wheel during a blizzard, then you’re probably holding them wrong. What’s wrong with making sure your dumbbell doesn’t go flying into the woman next to you? It’s just that your wrist is probably doing more of the work than your biceps, say experts. And clenching your wrist joints probably isn’t why you’re lifting at Barry’s Bootcamp, Physique 57, Refine Method, or Flybarre. No white-knuckle gripping of the weights. Think about letting the weight sit in the palm of your hand instead of tightening your grip around it like a Balenciaga bag at a sample sale. That helps move the load of the weight from your wrist to your bicep. RELATED: How Many Calories Are You Really Burning? Don’t let your wrist bend or fall back. Keep it in neutral, stable position so that your palm is on the same plane as your forearm. If you see tendons popping out of your forearm, relax your grip slightly. For weights that are three pounds or less, think of creating a long line from your fingertips up to the shoulder, like a dancer. This allows you to better isolate and tone your bicep, shoulders, delts, and triceps. Releasing your fingertips, like many of the Flybarre instructors do, and resting the weight under your thumb might also work for you. But be mindful if your hands are sweaty. Bad form can come from using weights that are too heavy. 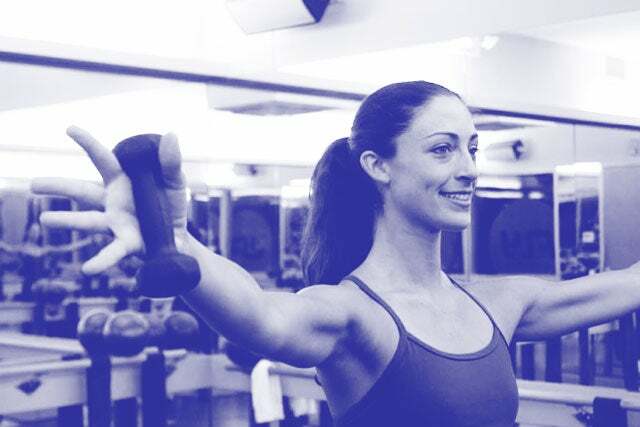 If you hunch your shoulders to hold the weights, drop down a pound, so you can perform reps in a way that’s actually allowing the range of movement you need to tone and sculpt. This post was authored by Melisse Gelula.